1 X EMPTY ALBUM. COMPLETE SET LOOSE UK EDITION. 1 X 1-160 STICKERS. 1 X STICKER ALBUM SEALED. 1 X EMPTY ALBUM. 1 x 1-198 STICKER SET LOOSE. 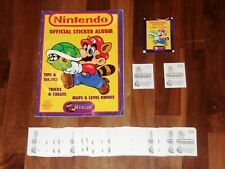 Nintendo Official Sticker album by Merlin 1992 Complete set, near-Empty Album &. 1-198 Loose Stickers, NOTE: Limited Edition version are; 7 - 18 - 34 - 60 - 89 - 102 - 128 - 130 - 144 - 167 (the standard version of these 10 stickers are not included). an Empty Album. MIRAI ROBO/FUTURE ROBOT. ISSUED 1981. STICKER ALBUM-UNUSED. VERY GOOD CONDITION. 1 X EMPTY ALBUM. 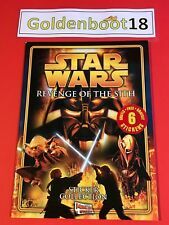 COMPLETE SET LOOSE rare item. The 'extra' stickers have been placed within the album as intended too- quite nicely if I do say so myself - but I will also give you another set of these that are loose too- just so you still have the comprehensive set. Made by Magic Box International. New and Unopened. 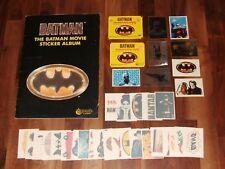 THIS IS FOR A FULL SET OF THE WORLD OF BATMAN X192 LOOSE STICKERS ALBUM. P.S. I ALSO HAVE SPARES, JUST ASK. THESE STICKERS GO WITH THE CARD SET FROM 1989. 1 X 11 STICKER SET RARE. NEW NO STICKERS JUST EMPTY ALBUM. DOCTOR WHO STICKER COLLECTION 2ND EDITION. STICKER IS IN VERY GOOD CONDITION. FROM THIS SERIES. MINT : GRADE 10 In perfect condition no wear or marks. Very Good Condition - No torn or missing pages, no loose pages, cover free from major dents or marks, no marks or writing within, mild creasing to spine, spine fully intact and captures all pages. A few stickers have been attached however the album is mostly empty. 1 X EMPTY ALBUM. 1-200 LOOSE STICKER SET. 1x Empty Album (NO stickers). 1 X STICKER ALBUM NEW. 1-198 WITH LTD ED STICKERS. 1 x 1- 320 STICKER SET LOOSE. 1 X EMPTY ALBUM. MY OPINION OF CONDITION MANUAL INCLUDED. This is not a full set. There are no doubles. All are complete with sticker back. The stickers have not been stuck in but are held in place by little corner brackets applied neatly into the album. All 275 stickers are included - still attached to their backing papers. 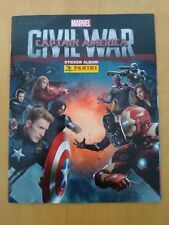 AVENGERS AGE OF ULTRON STICKER ALBUM( EMPTY). NO STICKERS ARE IN THIS ALBUM. I HAVE LEFT IT IN ITS ORIGINAL WRAPPER TO KEEP IT NICE AND CLEAN ITEM WILL NOW BE SENT RECORDED SIGNED FOR. Back To The Future Panini 1985 near-empty Panini album with a Complete loose 180 Panini sticker Set & more…. 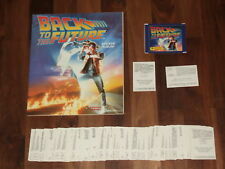 · Back To The Future 1985 near empty Panini Sticker album. You will have all 180 loose Panini Back To The Future Stickers that are needed to complete the Back To The Future Panini album. 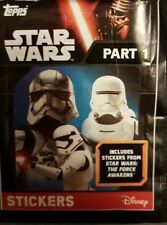 1 X STICKER ALBUM NEW SEALED. 1-198 Loose Stickers, NOTE: Limited Edition version are; 7 - 18 - 34 - 60 - 89 - 102 - 128 - 130 - 144 - 167 (the standard version of these 10 stickers are not included). 1 X EMPTY ALBUM. 1 X 1-198 STICKER SET. There are 187 album stickers needed for this set to be fully complete, this also includes one special comic sticker too that goes on the rear of the book. 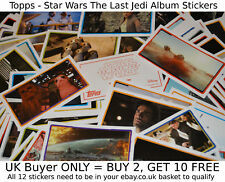 You will receive the complete, loose 201 sticker set needed to complete the album. 1980 Panini UK. 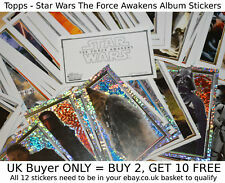 Here we have a rare chance to own a complete sticker set and empty album of The Black Hole. The Black Hole Sticker Set & Album. These were released in 1980. EMPTY Sticker Album. Album is in really good condition and 100% empty. ET ~ Empty Album Sticker Box (1982). Box is in great shape with very Minor wear and tear, great for the collector! 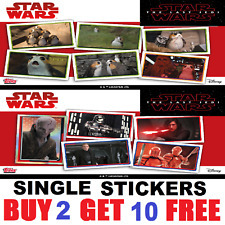 Topps SOLO A Star Wars Story Stickers Singles Numbers 1-198 BUY 2 GET 10 FREE! 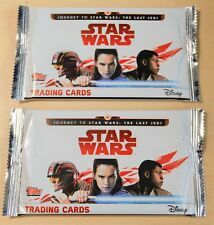 Topps STAR WARS THE LAST JEDI Single Stickers Numbers 1-200 BUY 2 GET 10 FREE! E.T. 1982 Complete Empty Sticker Album & Full Loose sticker set.